The Romani people have a magical, mystical grace. They come from old and some say they can trace their ancestry to the sun. All of this must surely have something to do with the power of their music. 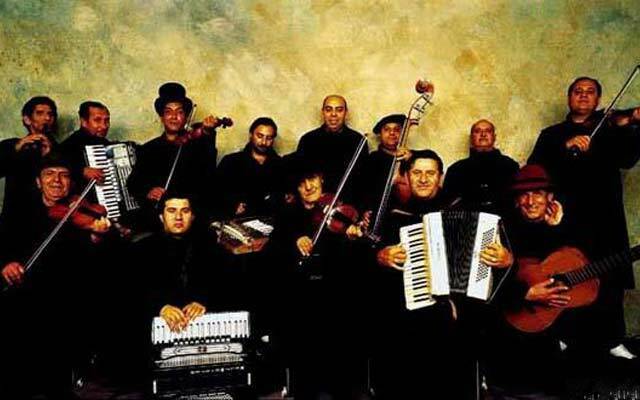 Taraf de Haïdouks, one of the oldest such ensembles from a little town in Romania, Clejani is also one of the best-known traditional musicians in Europe. You would think that the music of this group is stilted; of the mouldy-fig variety as little has changed about it in decades. But quite the contrary, there is a vibrancy that speaks not only of a revitalised tradition (with the collapse of Communist Romania), and a visceral excitement that stirs the beating heart with every song played. There is an elemental, haunting beauty to this music on the disc. It sets the conceptual tone for the songs that, for all their relative harmonic conservatism, expand what the medium can do to explore uncharted emotional territory. Numerous voices come and go throughout the vocal parts with each voice nattering back and forth about some charming little incident or narrative that awoke the small town of Clejani. The singers of Taraf de Haïdouks, especially the amazingly talented Viorica Rudareasa lay emphasis on the relationship between words and music. She has, quite magically, come up with some ideas which probe deeper than many, in her aim to bring the pieces to life with expressive fervour. There is much to be said about the interconnectedness of life when it comes the examination of its countenance in music. You would not be remiss if you felt, for instance, suddenly as if you were in the American plains, listening to bluegrass music in “Moldavian Shepherds’ Dance”. Or you might be, like I startlingly found myself thinking of the music of Carmine Coppola and Nino Rota while listening to “Cold Snowball”. It is not as if Taraf de Haïdouks were suddenly transported to rural America or Sicily. Surely not. But it must be that Romani peoples must have a connection with the world’s migrations throughout history, influencing and being influenced by successive migrators. As you sink deeper into this album more wonders emerge. 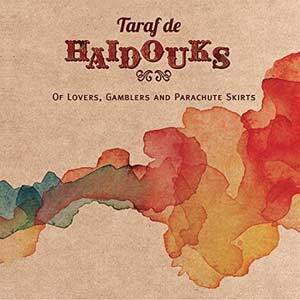 The freshness found in Taraf de Haïdouks’ music is admirably realised by the musicians and this is evident everywhere – in the offbeat superimpositions of Marin P. Manole’s accordion and also in the hyper-minimalism of Anghel Gheorghe “Caliu”, Robert Gheorghe and Constantin Lautaru “Costica”’s violins. Minimalism in a different sense motivates the guesting lead vocalists Gheorghe Manole and Sandu Marin “Tsagoi”, whose performances close-up are studies in vocal control and stamina, performed with hypnotic conviction and grace. These are musicians who make this music sound almost effortless and the recording made in Romania ensures that every gasp and grunt has maximum impact. Track List: Balalau from Bucharest; Moldavian Shepherds’ Dance; Cold Snowball; The Fields are Blooming; Clejani Love Song; Manele Pomak; The High Balcony in Ciopan; Where Do You Come From Dear Lady? ; No Snow No Rain; I’ll Tell You How It Is In The Other World; Dance Suite à la Clejani; Mother My Little Mama; I’ve Got a Parachute Skirt; Marius’ Lament. Personnel: Gheorghe Falcaru: flute; Anghel Gheorghe “Caliu”: violin; Robert Gheorghe: violin; Constantin Lautaru “Costica”: violin and lead vocals (3, 10); Marin Manole “Marius”: accordion; Marin P. Manole: accordion and lead vocals (5, 7); Filip Simeonov: clarinet; Paul Giuclea “Pasalan”: violin and voice; Ion Tanase “Ionica”: cymbalum; Viorica Rudareasa: lead vocals (1, 5, 8, 13); Gheorghe Manole: lead vocals (9); Sandu Marin “Tsagoi”: lead vocals (5, 12); Florin Neagu: accordion; Gigel Neagu: double bass.